You can read more testimonials by visiting our Google+ Page. Click here to be redirected. There are not enough words to describe how brilliant Francis was when I took my driving lessons with him. I had some previous driving lesson experience over the years but as soon as I started taking lessons with Francis in December 2011, I automatically felt at ease and actually for the first time really felt confident that I would pass my test. His experience is so vast that he just knew what I needed to work on and was so encouraging from the get go ! I keep using the word patience as he has bucket loads of it and no matter how good or bad the lessons went from day to day, I always looked forward to the next lesson so I could improve even more. I took my driving test on the 02nd of February 2012 and I passed first time!! Could not believe it and its all down to Francis at Castletown driving school. Never in a million years could I have passed without his guidance and excellent teaching!! 10, 10, 10, 10, and 10 is what I would give you if I had to score you out of 10 for Teaching Skills, Friendliness, Making me feel at ease, Building my confidence and above all Patience!! I remember my first few lessons with you when I was so tense I was right up against the windscreen and I was grabbing that wheel so tight I’m surprised it did’nt break off!! And not to mention that little trip down the road to Tesco where I failed to see the oncoming traffic at those lights and almost crashed….do you remember??! But you were there to save the day because the kind person you are, making that extra little trip with me was no hassle to you. I thought I’d never be able to drive without that feeling of dread and fear but look at me now.. I’m able to drive and passed my test first time because of you! ( although I still am scared stiff but anyhow thats now up to me to get over! ) And apart from teaching me how to drive we had a lot of laughs along the way too! So I cant compare you to any other instructer as I never had any other but I don’t think I could have picked a better person and I will recommend you to anyone who is thinking about having lessons! 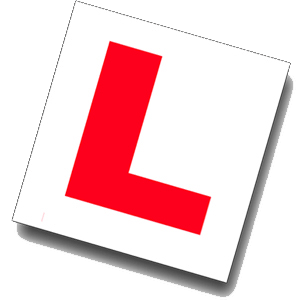 Thanks to the 4-5 driving lessons I took with Castletown school of motoring, I was able to go in with full confidence today (7-10-11) to my driving test. I passed it first time with 2 grade 2s. Francis is an excellent instructor. He is very calm and concise during a lesson. Not only that, he is very approachable and never made me feel under pressure while I was driving. As a college student, I do not have much free time but thanks to his flexibilty I was able to have lessons when I needed with clear indications to where I needed to improve.Overall I would highly recommend him as an instructor with a 5/5 rating. My name is Conor, I’m nineteen years old and from Celbridge. I began driving in January 2011 with Francis. The thought of driving on the open road for the first time was daunting but with Francis’ experience and expert guide I was soon very comfortable and competent driving on the major roads. 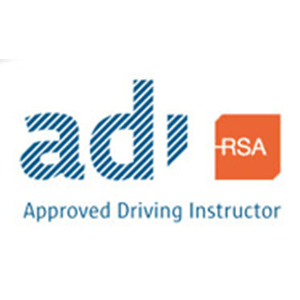 He will quickly understand you as a driver and will target and focus on every single aspect of your driving until it is up to the required standard that will give you the best preparation possible to pass your driving test. In a short space of time he thought me to be a safe driver with good habits that I will keep for life, and with some further tuitions I learned the skills necessary to pass the driving test. He will tell you when you are ready to take your test and likewise when you are not ready, in an honest and professional manner. Francis is a very friendly man and I always enjoyed his company. Francis is available to give a tuition at a time that suits you and offers a very affordable price, something that everyone looks for in these recessionary times. If I was to have to go through the process of preparing for my driving test again I would not hesitate to call up Francis. Thanks again Francis! Francis, Thank you so much for the expert tuition you provided! I’m delighted to have passed the driving testI’ve had other driving instructors and you were by far the most knowledgeable and patient and professional I’ve encountered.All the best with Castletown School of Motoring in the future. Dear Francis,thank you so much for your help in passing my test,I am delighted!You taught me a lot in a very short time& I am certain that I would not have passed my test without your lessons. I will certainly recommend you. Best wishes. I am very pleased to say that I passed my driving test first time after taking lessons with Francis from Castletown School of Motoring. At first I was confused which driving school to contact but Francis` very competitive hourly prices were very attracting. From the beginning he was very patient, teaching me all the necessary manoeuvers and techniques for the test. Like everyone else I was very nervous about driving and the exam itself but Francis managed to build up my confidence and lead me on the path to success. Apart from patience and calmness, another great asset that he has is honesty. He is truthful regarding the progress and capabilities of the student, explaining every time whatever you did was right or wrong. Lastly, Francis` tuition cars are very easy and pleasant to drive as they are kept in excellent working condition at all times. I would sincerely recommend Castletown School of Motoring to anyone who wants to pass his/her driving test for the first time. Thank you Francis for helping me to obtain my license. I passed my driving test with Francis from Castletown School of Motoring. My son told me he was really good (as he passed 1st time with C.S.M). He surely is. After the 5th time where some other driving schools failed, I had success with Francis. He so patient and really explains things so that you will do it without hesitation. He spots everything that needs to be corrected and never rushes you. I felt a miracle had happened to me when I passed my test. Thank you again for your help & your patience. I passed my driving test 1st time with Castletown School of Motoring. From day one I used francis from C.S.M. He is a very good instructor and put me at ease on each lesson. He taught me all the manoeuvers for the test & also all techniques to park which comes in very handy as I work in town. All my friends were tellling horror story about the test, how many times they had taken to pass the test. Thank you to Francis for the hire of the car & tuition all the way to the test. Car is easy to drive & well looked after. Most importantly great value, if you need an instructor to learn how to drive or to go for the test I would highly recommend Francis.I can say that I have become a good & confident Driver. – Your car (both the Fiesta and especially the Mazda 2) is very pleasant and easy to drive. – You instill confidence in your pupil, but also criticise openly and frankly when necessary. – You explain the basics for driving and understanding the car very well and also explain why you have to do a certain thing at a certain time. – You have an ocean of patience and you remain calm at all times, which I think is very important and ties in again with the confidence part. Overall I think you are a very competent, very professional driving instructor and I would have no problem whatsoever recommending you to anyone who wants to learn to drive properly (and I’ve done so already). I need to add of course that I relied on driving lessons only to pass my test, not having driven a car ever until 3 months ago. Thank you again for helping me pass my driving test. I passed my test with C.S.M.A small myracle,after 4 time.I wish I had Francis as a driver instructor to start with.I hads 2 different driver instructor before!! !…Francis is far away the best & great Value too .He built up my confidence with his positive tuition.He was spot on his maneuver & explain very carefully how to do it.Great technique for parking.If you have been disappointed with a instructor ask to Francis to help.I highly recommend Francis as a instructor what ever level of your driving.Once again Thank You very much & Bravo. I found francis to be a brilliant teacher, very patient and tells you exactly were u are going wrong and he will try in every way to help you fix it, i had a few driving instructors before francis and none were up to the standard of francis, he was first class in my opinion and i would recommend him to anyone. Francis is an excellent drivng instructer he is very patient and has an excellent method of teaching. He does not rush you at all and tells you exactley where your going wrong and helps you fix it. 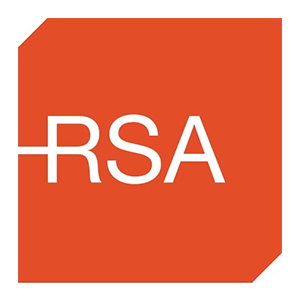 I passed my test first time round absolutley delighted, francis built my confindence and made sure I knew I could pass my driving test before i went ahead.I would recommend Francis to anyone looking to get lessons or pre-tests. He is brilliant at his job, he has a huge pass rate and nobody around will beat him on price. yeah to the pink licence.